BEAUTIFUL ALL BRICK & STONE HOME IN CASTLE ROCK ESTATES WITH A FULL WALK OUT FINISHED BASEMENT !! 5 bedrooms 3.5 baths. The main level offers 3 bedrooms, 2.5 baths, gas log fireplace in living room, and lower level family room. The kitchen has granite counter tops, stainless appliances, 5 burner gas cook top. The beautiful custom cabinetry is stained and glazed alder. 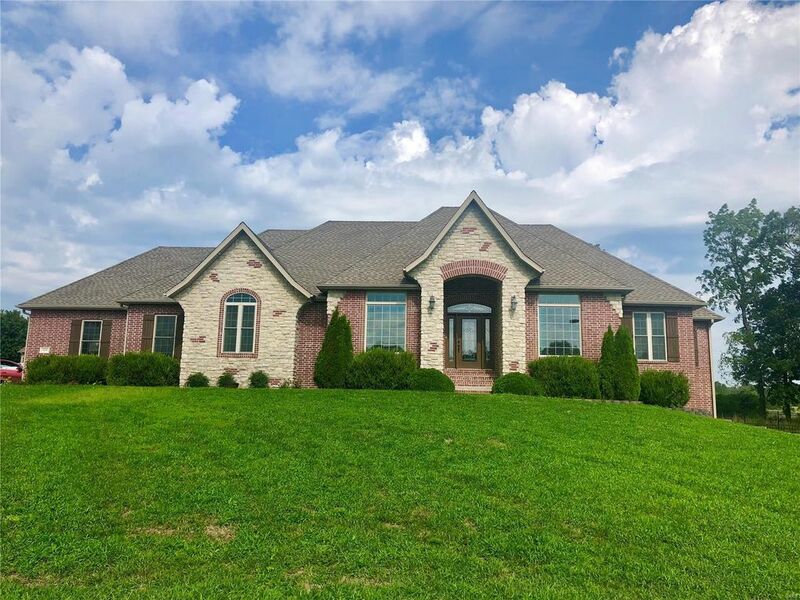 Large Formal dining room, Hanscraped maple hardwood floors, Master suite w/large tiled walk in shower, jetted tub, very large walk in closet, lower level offers 2 additional bedrooms a full bath, storm shelter, john deere room with great storage. The lower level also offers a 2nd laundry room, exercise area/media room. Large wet bar w/granite full size fridge & dishwasher. 3 car garage, This home has great storage areas. 5' aluminum fence. 2 hot water heaters, 2 electric heat pumps w/natural gas back up, auto start Generator. Rear covered deck, Lower level patio. Great Culdesac location offering privacy with a great yard. Directions: South 5 to left on Mount Rose, right on Tower, left into CastleRock Estates, Left on Keystone court Home is at the end of the culdesac on the left side.